Seafish, the public body that supports the £10bn UK seafood industry, has today (Thursday 29 November) revealed the UK’s top three foodservice operators serving fish and chips, as part of the 2019 National Fish & Chip Awards. This category is open to outlets where fish and chips are included on the menu but is not the core offering – including pubs, restaurants, leisure outlets, cafes and hotels. To reach this stage of the competition, finalists have been assessed against a wide variety of judging criteria including responsible sourcing policies, preparation and cooking techniques, promotional activity and menu innovation. Over the coming weeks businesses will face additional mystery diner judging audits to assess levels of customer service and the quality of fish and chips on offer. This final stage of judging will determine the overall national winner who will be announced at the London awards ceremony in January. 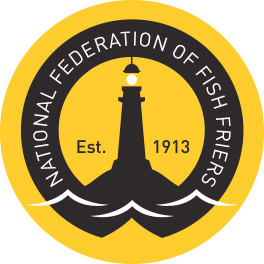 The winner of the Best Foodservice Operator Award will be announced at The National Fish & Chip Awards’ 31st anniversary ceremony in London at the Royal Lancaster Hotel on 24 January 2019.